I hope you are all doing really well ? - I just wanted to take the time to thank those of you that entered my Elemis Apricot Soothing Toner Giveaway, which has now ended. The winner has been announced via twitter, and I will be scheduling my next giveaway for when I reach 2000 GFC Followers (such an exciting thought) The past week has been a total nightmare for me due to a flood related inccident with my car, and to be honest I will be glad when its over and done with. Due to such a stressful week I have been loving long hot baths, with the help of my most relaxing skincare products to try and releave some of the stress. 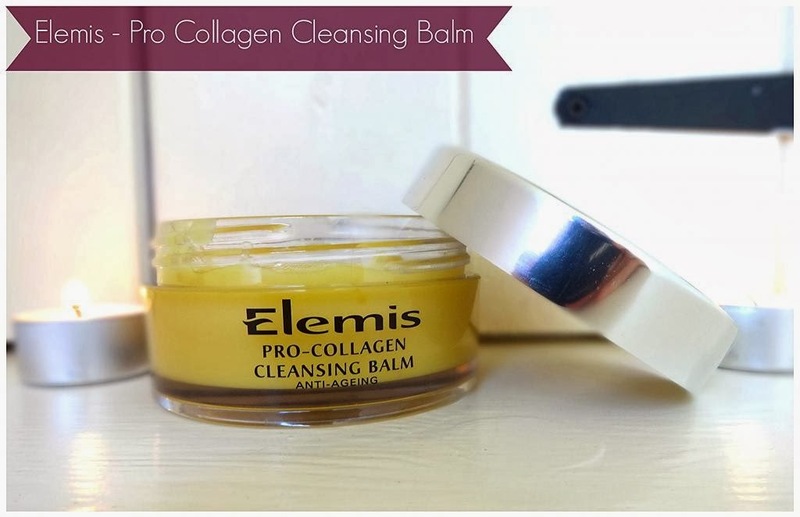 The Elemis Pro Collagen Cleansing Balm has been my go to product, and has been a complete saviour the past week. I have wanted to write about this for a while, but now is the perfect time as not only can I tell you about its fantastic cleansing ability, but also its aromatherapy properties. I hope you enjoy this review post lovelies, and don't forget to leave your thoughts and links in the comments section down below. I know it sounds kind of cliche, but getting comment notifications totally perks me up haha. 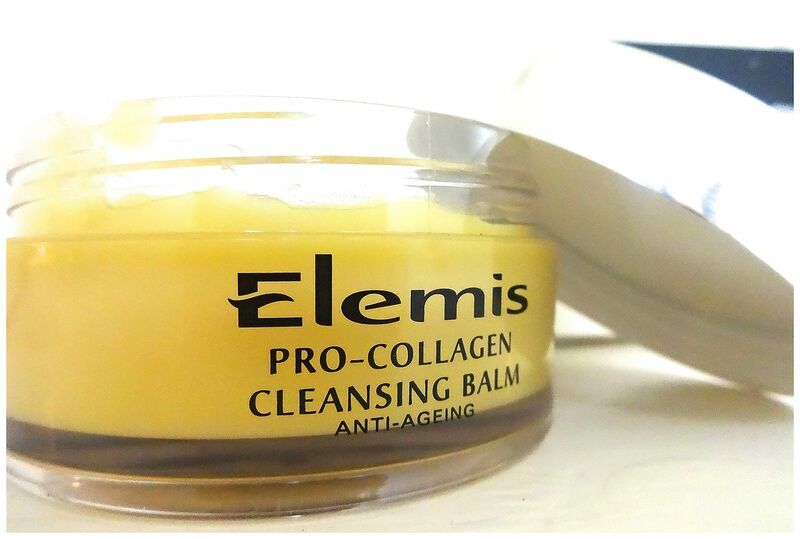 The Pro Collagen Cleansing Balm is part of the award winning Elemis "Pro Collagen" family. Due to work I have been able to attend training in regards to this line, and I must admit I was amazed by how it works to support your skins collagen levels. As we get older our precious collagen diminishes, which leads to fine lines and a loss of plumpness in the skin. The super ingredient and clinically proven "Padina Pavonica Marin extract" provides a source of natural collagen and helps to boost your existing levels. Some of the key ingredients include, starflower, ederberry, optimega oils with luxurious rose and mimosa waxes to cleanse, nourish and smooth the complexion. 96% of the people tested said that their skin felt softened and soothed after using this cleansing balm for just two weeks. I love using this balm as a cleanser, and it does a lovely job of removing general makeup and dirt. However, it's not one for the eye area.. So I tend to use it as a cleanser/mask. It works beautifully as a mask, and as the clinical trials say.. it leaves your skin feeling completely softened and soothed. 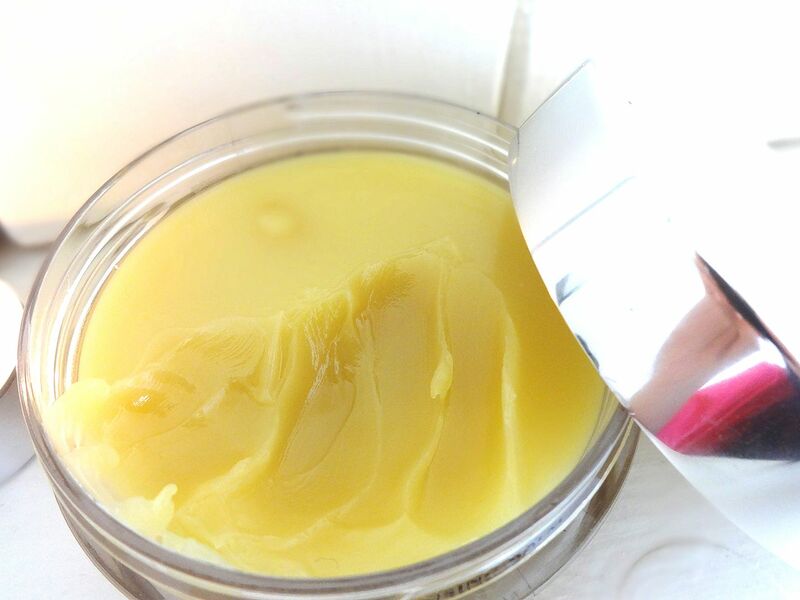 The Pro Collagen Cleansing balm is formulated with a 100% active base of natural oils grown within the UK. The Cleansing balm has a blissful aroma that really captures what it is like to be in a spa environment. Applying this each night has been a complete saviour, and its aromatherapy properties are just as good as its cleansing abilities. I must admit it did take me a little longer to fall in love with the scent of this balm, as it is quite strong. It was only when I took the time to really inhale the aroma that I realised how much of a calming effect it had on me. To get the most out of this product I leave it on for 5-10 minutes as a mask. I then place a very warm flannel over my face and practise breathing, and with the help of the beautiful aroma I feel completely relaxed and at ease. At £39.50 it is definitely a treat, but for me its been worth its weight in Gold. If you are going through a particular stressful time, or just want something to really relax you then this would be a great option. I like the fact that it's not only a cleanser, but it is also a beautiful mask. It isn't the most practical, as it doesn't remove eye makeup.. but if your like me you probably already have something else you use. However, it is something to think about if you are splashing out almost £40.00. I personally adore the spa like aroma, and that is part of the reason I find it so relaxing. However, if you are quite sensitive to scents then I would probably get a sample or pop to an Elemis counter to try it before you buy it. Great review! Sounds like a nice cleansing balm. I've been meaning to try one. Your blog is very interesting and nice! Shame about the price, but it does look absolutely amazing, and sooo lush! I do love my cleansing balms. And this Elemis offering seems so great! I just started using the Boots Organics Cleansing Balm that I found at Target here in the States, and I really love it. I haven't heard of this brand, but I love the concept of a cleansing balm. I've used the Cleansing Milk by Clarins and loved that for years, but the balms are meant to be removed with a hot cloth and can sit on the skin for a bit which I find unique and different than ordinary cleansers. For my super dry skin, it's been heaven. I've only tried the Boots one for a few days, but I'll be posting a review on my blog soon after I've had time to really see how it effects my skin overall. This was such an informative post! Thanks. I love cleansing balms. Have you tried the Clinique one? I was after a cleansing balm for ages and this was on my list, but I went for the Body Shop's cleansing butter instead as it's quite a bit cheaper... and it's amazing! You should try it! :) I am slightly tempted by this as a little treat for myself though!